1) In the top spot this month is ‘Dreams’ APpl518. A bright and fun design suitable for friends and family. 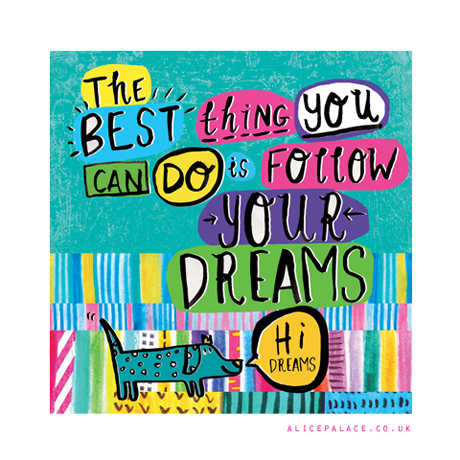 On the front of this design it says ‘The best thing you can do is follow your dreams’. 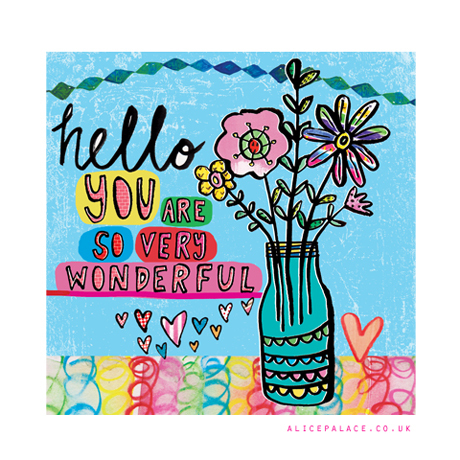 A lovely card to for inspiring! 2) One of my favourite cards of our ranges - Dear Friend APpl492 is in the 2nd spot this month. 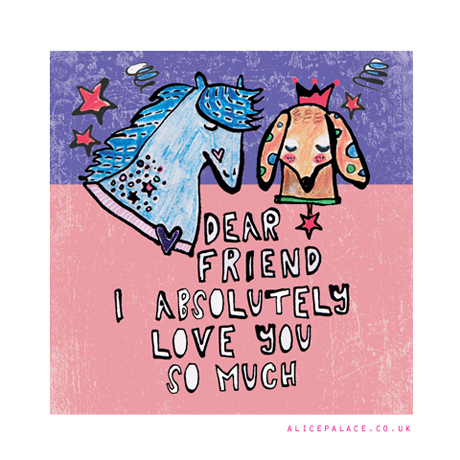 The wording on the front of this fun horse and dog friendship design reads: ‘Dear friend I love you so much’. 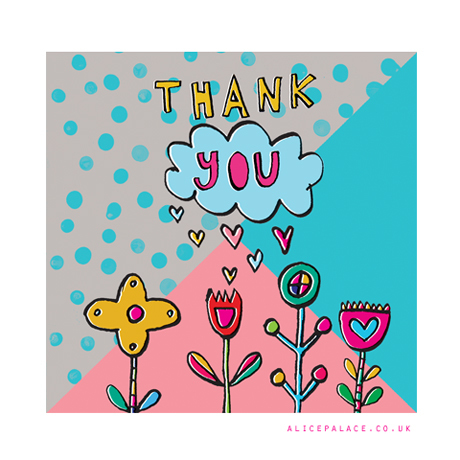 A lovely card, perfect for saying thank you, sending a virtual hug and for letting friends know you are there for them. 3) Some of our crafty cards feature over the next few places in our top 10. In at 3 is ‘creating happiness’ APpl500. 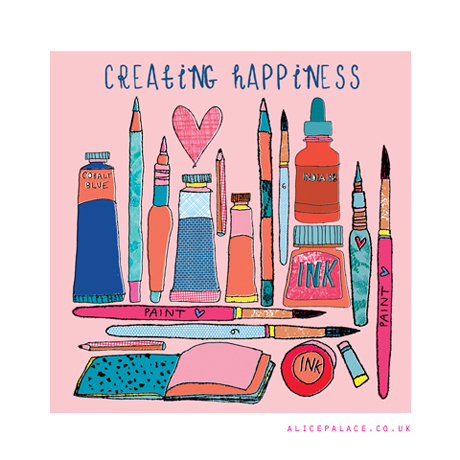 This sweet little card featuring an artists tools and equipment reads: ‘creating happiness’. 4) In 4th place is crafty card ‘coffee & crochet’ APpl501. 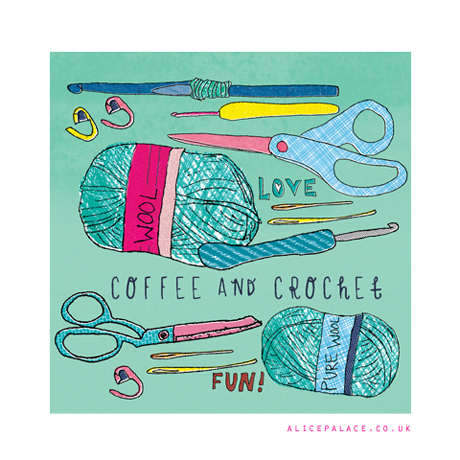 This little card featuring all things crochet reads: ‘coffee & crochet’. Great for having a natter with the girls! 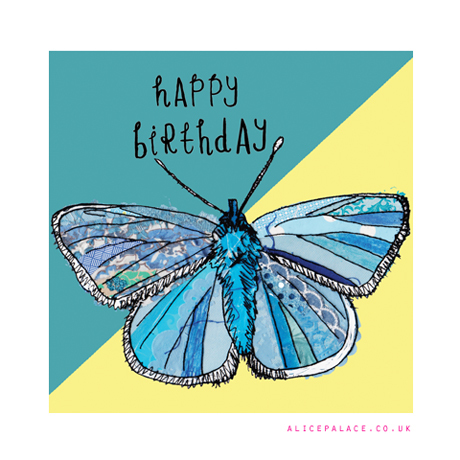 5) In 5th place is ‘Happy birthday’ APpl466, a gorgeous butterfly card. On the front of this design featuring a common blue butterfly it says ‘Happy birthday’. 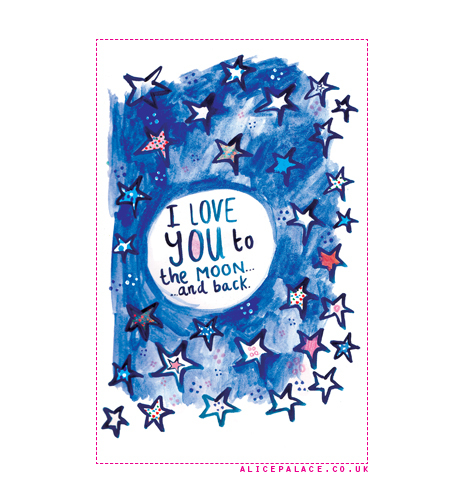 6) In at 6 is ‘Moon and back’ AP778 is a beautiful hand painted design suitable for friends and family. On the front of this pretty stars design it says ‘I love you to the moon and back’. A lovely card for someone you love! 7) In at 7th place this month is ‘Thankful flowers’ APpl458. A beautiful design suitable for friends and family. On the front of this bright and pretty design it says ‘Thank you’. A lovely card to say thanks! 8) ‘Wonderful you’ APpl517 A lovely everyday card. This card features flowers in a vase. The wording reads ‘hello you are so very wonderful’. Perfect for cheering someone up and making them smile! 9) ‘My pal’ APpl515 is in 9th place. This cute card is another of our newer designs. 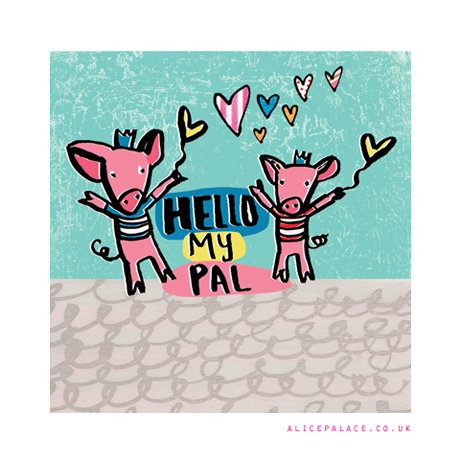 On the front of this pig design it says ‘hello my pal’. A lovely positive saying for someone who needs uplifting. A great card for great friends. 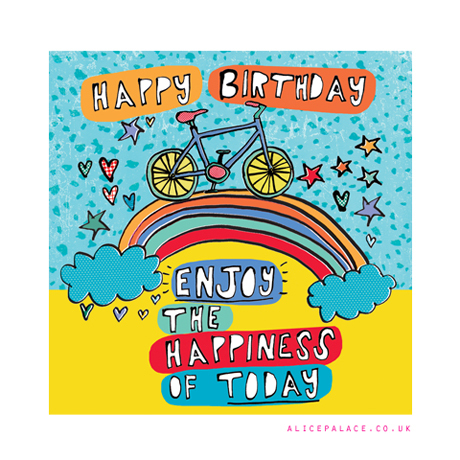 10) In 10th place is APpl513 a Happy birthday card featuring a rainbow and a bicycle. The wording reads ‘enjoy the happiness of today’.